I went with my gut, and decided to go ahead, and paint the big drill. It may turn out to be a flop, but I had a blast working on it. 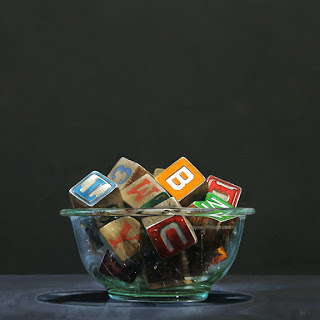 Most fun I've had on a painting in while. Big knobbly, heavy duty, mechanically, steel tools are just so cool. I need to keep my eye out for more like this. Now on to what ever comes next. I think, maybe it's time for a percolator. I've been putting things in bowls for sometime now, but the objects have all been round and shiny, so I thought I'd try something new and use wooden blocks for a change. I think they worked. Now my problem is determining what to paint next. I've got a composition that I've been saving for a while now, but I'm not sure how it would be received. 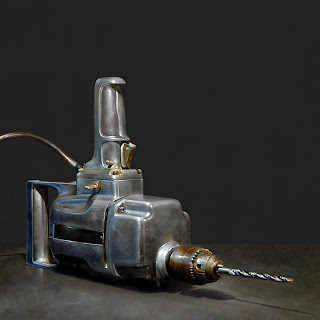 It's an image of this really beefy electric drill I borrowed from my buddy Jeff Cohen. It's very cool looking, but there's not much color in the image, and I fear it may have limited appeal to collectors. I think I may just do it anyway. I was very generous to myself over the holidays, and I gave me permission to paint nothing until the first of the year. I really needed to recharge my batteries, and "tried" not to even think about art for a couple of weeks. It was great just to spend time with family, eat decadent food, go to the movies, read, etc. Now it's time to get back to work. 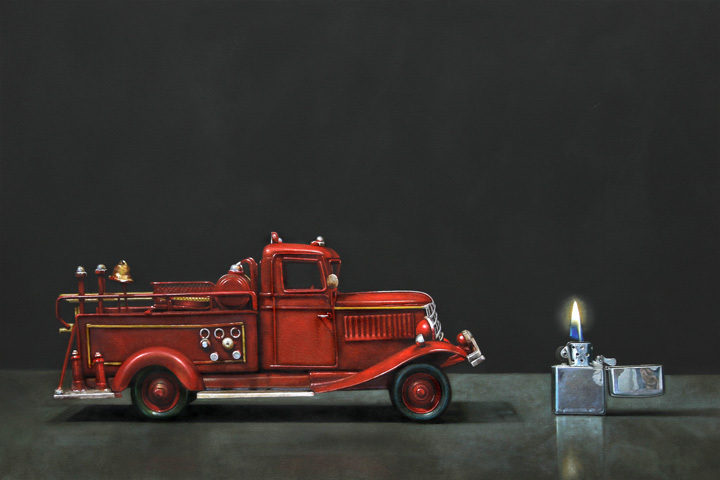 I found this toy Fire Engine on ebay, and paired it up with an old Zippo cigarette lighter I've had for years for my first painting of 2012. Onward to number two . . .